Learn how FERC hydro project relicensing could affect our relationship with the Connecticut River over the next 50 years. TF business owners talk about how they’re faring this holiday season. An evening course at FCTS moves workers into the Advanced Manufacturing Pipeline. 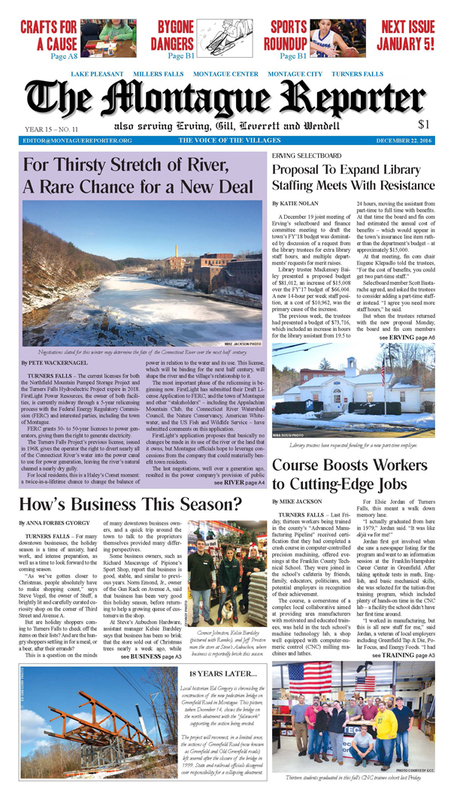 In selectboard news, Erving debates increased library staffing, Montague town officials face the prospect of “another frickin’ email” account; and Wendell discusses diaper noncompliance. This month’s Poetry Page reflects on the winter holidays. And, our editorial asks: Does anyone deserve anything? MoRe: A fond look back at the homemade rip sled and winter jackassery of yore. In West along the River, the birds help usher in winter. 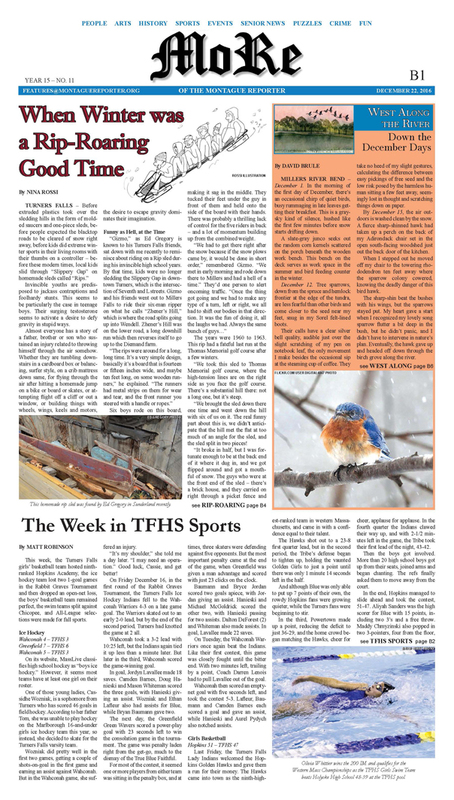 Our TFHS sports correspondent offers a rundown of the week’s contests. Our critic reviews Hacksaw Ridge. A “Nasty Women” art show seeks participants. Plus: highlights from the Montague Police Log; the Montague Crypojam; Pet of the Week; and check out two weeks’ worth of arts and events listings to relive the ones you attended, rue the ones you missed, and fill up your calendar with those still to come. No paper on December 29; see you in 2017!